Hey! 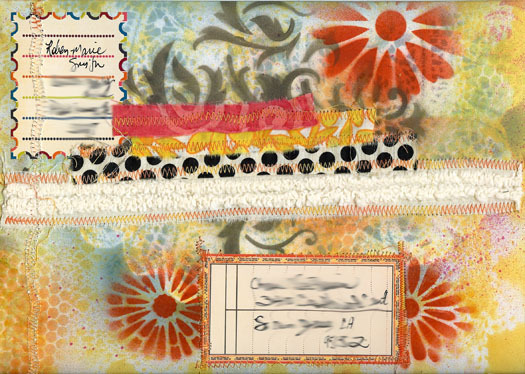 I am so excited to announce that my Mail Art Kits are now in the store! 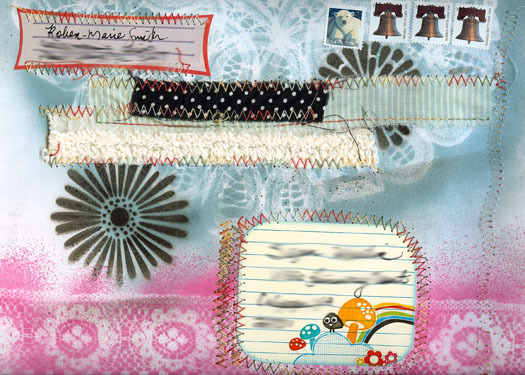 Mail Art Kits include a variety of goodies to create your own mail art. Each kit is unique, featuring painted/stenciled envelopes, labels, stickers, alphabets, fabric and ribbon, collage sheet of artsy paper strips, tags, rub-ons and more! Each kit is packaged inside a Seven Gypsies Naked Portfolio and tied off with a tag! 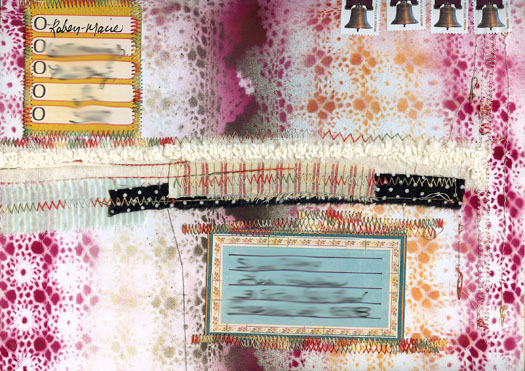 Paint, stencil or collage your portfolio to customize it just the way you like!